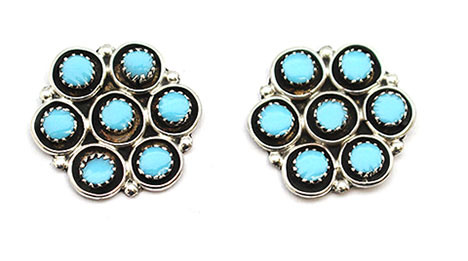 These sterling silver round earrings have seven round synthetic turquoise stones with an oxidized border around each stone. 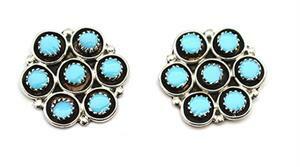 They measure approximately 1/2" in diameter and are handmade by Zuni artisan Karen Booqua. ***Only available in clip. *** None available in post.